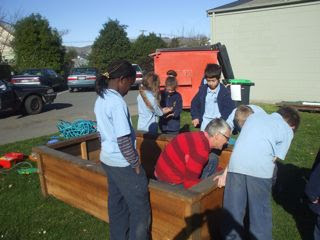 Last Friday the Green Team was also busy assembling a planter box. This was kindly donated by Reg Platt of Fresh Harvest Planters. 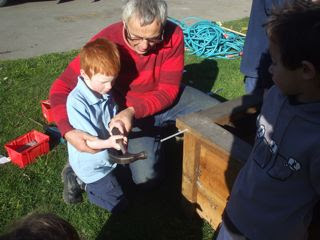 Reg delivered and then helped the Team to assemble the box. This planter is high sided so that our Conductive Ed children can access them from their wheelchairs. A big thank you to Harvest Planters for this. 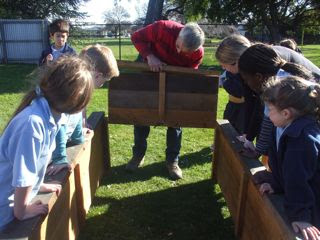 The school will be purchasing two more raised beds for our planned vegetable gardens, and the children are busy planning what they would like to grow.